Greg Valdez is the best in the business. You name it; he’s stolen it—from jewels to fine art, and all for private collectors and insurance companies. Now his mission takes him to a centuries old monastery in Portugal to steal a priceless artifact—a Crusader’s pouch—from within the altar. But the artifact becomes the ransom for his loved ones and the object of a mercenary led search. Old oaths and traditions come into play as a secret, militant religious Order launches an international chase for the thief and the true Shroud of Jesus concealed within the Crusader’s pouch. 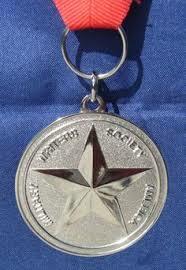 “Solomon’s Men” received a Silver Medal in the Military Writers Society of America’s Mystery/Thriller category ! 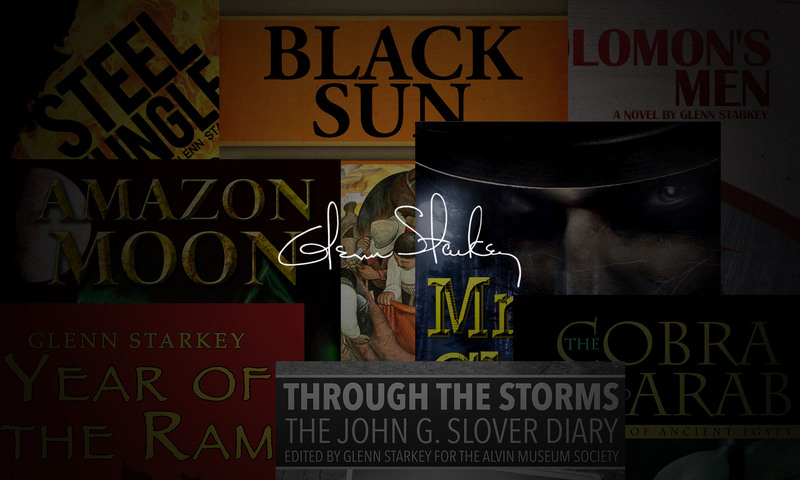 Solomon’s Men by Glenn Starkey is a genuinely suspenseful novel about an expert thief drawn into an extraordinary tangle. Greg Valdez’s heist of a modern day Templar’s pouch (which contains the true burial Shroud of Jesus), initiates a cascade of power struggles with the life of Greg’s closest loved ones in the balance. 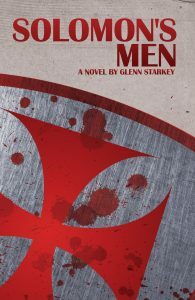 Exciting and unpredictable, Solomon’s Men is highly recommended as an original action/adventure thriller. SOLOMON’S MEN is available in eBook and print formats. Reality set in. Rebecca Barnes had lied. How much, he didn’t know. The altar showed no signs of being opened since its construction. And there was too much dust. No one had touched the pouch in centuries. What are you? Valdez wondered, staring at the Crusader pouch. Intrigued, he raised it into the candlelight and brushed it clean. Black leather appeared, stiff and dry from age. The wax, gobbed over the pouch’s simple hasp, still bore the print of a ring placed there long ago. His eyes narrowed as he studied the symbols tooled into the leather on both sides of the hasp. Curiosity rising, he knelt and shined his penlight on the altar’s side panel. There, carved among the Latin words, he found a similar symbol, a double-armed cross. He looked at the pouch again. “What are you?” he whispered. A shiver raced through him. “Heaven or Hell?” The steel hard voice carried from behind Valdez. The man was close. Next came the distinctive click of a pistol being cocked. “Heaven or Hell? You decide. One wrong move and you’ll make the trip.” The question held a hint of humor but the voice did not. “Neither, thank you.” Valdez gradually stood, his back still to the unknown gunman. “What now? May I lay this down?” He held the pouch out to his side for the man to see. The uneasiness in the man’s voice stunned Valdez. He glanced at the pouch, wondering what he had become involved with. “Take it.” Valdez started to turn but a pistol muzzle bumped the back of his head. He stopped, not wanting to further upset the already shaken man. “Easy, easy. I don’t have a gun. I’ll do whatever you say, just remain calm.” He remembered the commando knife lying by his boot and hoped the gunman had not been seen it. Valdez found himself looking into the cannon-like barrel of a semiautomatic. Behind the gun stood a monk, face hidden within the shadow of his habit’s hood. The monk moved to better position himself and candlelight partially lit his face. His smooth skin lacked the hardness of time. Valdez guessed him to be in his late twenties, and recognized the skill with which he held the pistol and maintained a solid shooting stance. The monk kept glancing at the pouch. Whatever it was, Valdez knew the pouch held great value to him. Not monetarily. Not to a man who chose to live under a vow of poverty in a monastery. Valdez sensed a deeper commitment, an emotional bond. Whatever it was, it held personal value the monk would kill for. Valdez tediously raised the pouch to chest level. The monk watched as if Valdez were about to drop a precious crystal chalice. He moved it again to focus the monk’s attention then attacked. Releasing the pouch, Valdez closed the distance between them and wrapped his hand around the weapon, preventing the hammer from falling. He side-stepped and spun, twisting the wrist and arm as he dropped to a knee. The monk flew over him and crashed onto the floor, arm outstretched, locked by Valdez’s knee and forearm. Valdez applied pressure to the monk’s elbow and the younger man cried out in pain. His fingers involuntarily opened and Valdez slid the weapon from the monk’s hand. Now what? Valdez wondered. I can’t kill a priest! The monk struggled but couldn’t overcome the arm lock. Valdez scanned the cathedral. Seeing no one, he looked at the monk. Three choices came to mind. Kill him; knock him out; or tape him. A fierce twist of the monk’s wrist threw him onto his stomach. Valdez reached into his backpack. The decision was easy. Moments later, Valdez looked down at his captive. “There, Padre, that will hold you until I’m gone.” Valdez examined the wraps of wide duct tape around the monk’s mouth, ankles and wrists. He set his adversary upright and leaned him against the altar. Anger then sorrow flashed in the monk’s eyes when he saw Valdez lift the black leather pouch from the floor. He shook his head pleadingly and mumbled. “I’m sorry.” The knot in Valdez’s stomach tightened. “I’ll make sure it’s safe.” Valdez gathered his tools and knife. Ready to leave, he sensed a change in the monk and looked at him. The cold resolution in the bound man’s eyes silently declared they would meet again. Valdez stood and eased the Crusader pouch into his pack. The monk watched, neither making a sound nor attempting to move. At the cathedral doors, Valdez paused to look back at him, sensing his cutting stare. The crucifix above the priest caught Valdez’s attention, immobilizing him. The blood of Jesus glistened as if He were freshly wounded. Valdez forced himself to look away and left the cathedral at a run. In the garage’s dim light, the car’s headlamps shone like lighthouse beacons. Valdez raised a hand to shade his eyes, and began a countdown for his leap to safety. But the countdown ceased. The oncoming car screeched to a halt fifteen feet from him. The engine went off, yet the headlamps remained on. Walking out from between the Lexus and the Corvette, Valdez stood waiting, his anger rising. Each beat of his heart came with the force of a smith’s hammer striking an anvil. Valdez heard car doors open. Two figures stepped out. With the bright headlamps flooding him, Valdez couldn’t see well until the men drew near and were silhouetted by the light. A slender man with dark collar-length hair, his face rough and gaunt, stopped five feet from Valdez. Beside him stood a brawny, shorthaired man whose flattened face reminded Valdez of an English Bulldog. Shorter than Valdez by at least three inches, both men wore similar sports’ coats and open-collared pullover shirts. They reeked of trouble, and Valdez quickly eliminated the possibilities of them being monks. “You know, Frank. I think Mr. Valdez here looks like a smart fellow who wants to do what’s right. Don’t you think so?” The ruddy-faced man’s voice held a sharp, sarcastic tone. The brawny man rolled his shoulders, and clenched his hands into fists. Valdez made a mental note of the movement. He’d seen boxers do the same kind of roll to keep their muscles loose before a fight. “Oh, we’re long past that point. You have something Mr. Cain wants, and we’re here to collect it for him.” The slender man chuckled and reached inside his coat as he stepped to Valdez’s right. The distraction was enough. While Valdez watched the gaunt man, the bulldog stepped in and drove a pile-driving left fist deep into Valdez’s stomach. The wind shot out of Valdez like a squeezed bellows. Doubled over, he fell against the trunk of the Lexus. He gasped for air, realizing his mistake. The bulldog was faster, and far stronger, than he anticipated. “There you are, Sean. Now, I think we’ve got his attention,” Frank remarked proudly. A droll smile appeared on Sean’s ruddy face as he stared at Valdez. “You don’t understand. Mr. Cain has your son. Once we have the pouch, we call Mr. Cain, tell him, and you get this map to find the boy.” Sean waved a folded paper in front of him then returned it to his inside coat pocket. Rubbing his stomach, Valdez stood upright, breathing deeply to fill his lungs. His anger transformed into rage, then a cold desire for vengeance at his son being kidnapped. “Show me the map so I know it’s real,” Valdez said, slowing his breathing. He relaxed and cleared his mind to let his senses heighten. “Which one of you has the number to call Cain?” Valdez asked, positioning himself so he wasn’t sandwiched between the men. “I have it. Why?” Sean asked. “So I know who to let live.” Valdez never blinked as he stared at the slender man. SOLOMON’S MEN is my first published novel (2003), but one of eight books that I’ve written. When it was published, cancer and maintaining a professional career dominated my life, leaving little time to further the book’s promotion as well other author pursuits. Having set writing aside for so many years I’ve now returned to this great passion in my life. I have always loved history. It seems that every day I read or see something in a documentary about the past I never knew existed. Being in the Masonic Order, I’ve always found the history of Templar Knights intriguing. From their searches for specific religious objects, I began a “what if” session with myself over the Burial Shroud of Jesus. In 1997 I expanded my scenarios to include a modern day thief—a professional thief who hires himself out to insurance companies and private collectors to steal back what has been stolen from them. But “what if” he’s hired to steal something that isn’t what he believed it was? And “what if” he becomes hunted, not by the police, but by mercenaries? And if your loved ones were kidnapped, what would you do? How far would you go to win their return? The story mentally unfolded itself faster than I could scribble notes on coffee stained paper. So, at 2:30 a.m. on November 18, 1997 (the same time and date I chose Chapter One to begin) I feverishly started writing SOLOMON’S MEN. I hope you will enjoy it as others have so far. The best compliment I have received from readers is that they missed a lot of sleep because they wanted to read “just one more page.” I welcome and encourage readers to write to me. Let me hear your reviews about my novels or whatever writing discussion you may have. And don’t miss THE HONJO, the sequel to SOLOMON’S MEN!